UNITED STATES: German wind developer Wpd has acquired the US subsidiary of developer Volkswind. The new company, called Wpd Wind Projects, will take on the development portfolio of Volkswind USA. Wpd said the portfolio comprises six onshore sites in four states across the US. "We are currently pursuing projects representing more than 1.5GW of wind energy," a spokesman for Wpd added. "We see major potential in the American wind energy market and we are looking forward to expanding Wpd's international activities together with the local team, and implementing promising projects", said Wpd CEO Gernot Blanke. Volkswind USA was founded in 2008, based in Portland, Oregon. All staff will be transferred to the new company. 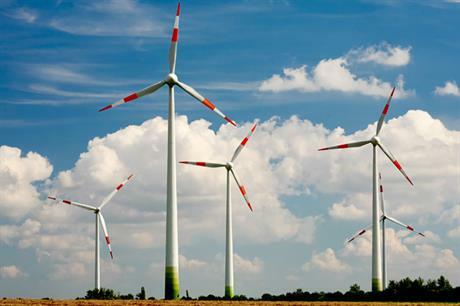 In July 2015, Swiss energy firm Axpo Group acquired Germany-based Volkswind. The deal included 31 operating projects, with a total 154MW installed capacity and a pipeline in Germany and France. The US, UK and Polish businesses were not included in the deal to Axpo, the company said at the time.